A vital step of the process when crawling for expired domains, is validating domain availability, so I can be 100% certain that it’s available right now for hand-registration with any domain registrar. See the the complete list of 1200+ domains supported by the domain crawler below. Last updated: 17th January 2017. Added support for .co.za today, with 100% accuracy for availability. Will you be adding support for .dk domains? In an upcoming release, there will be support for every single TLD or domain available. And it will be something you can configure yourself on the dashboard. I’ll be in touch directly on email to explain more. My request is a little different from the ones above, I would like to see a feature that allowed my to select the TLDs I was interested in getting back before a search. If before the crawl I could choose just the ones I was interested in would this make the crawl quicker and less resource intensive as you would not need to check the status of any URL that did not match my pre-selected TLDs. I’ll keep you in the loop as this comes to fruition. 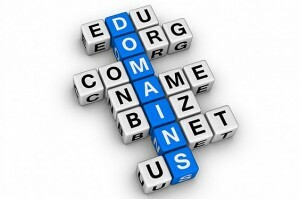 How about support on .com.sg and .sg domain names? There is support right now for .sg. Both .com.sg and .sg will be officially supported by v4 of PBN Lab, set for release this month! How about support on .com.br and .br domain names? These domains are now fully supported, with live availability. Hi Scott, any chance of adding .pt .com.pt and other Portuguese domain names? Portuguese domains are now fully supported, with live availability. Almost all domain extensions are supported. That is nice.